A deep, booming voice broadcasts over the airport intercom, “Last call for Flight 931 to New York. Last call. Please make your way to the gate now.” You begrudgingly toss your backpack over your shoulder and saunter toward the agent. 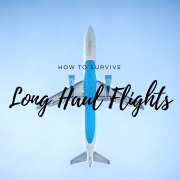 As you hand him your boarding pass, it hits you; your fabulous trip – the one you had been enthusiastically planning for months on end – is just about over. You are headed home. Don’t get me wrong. 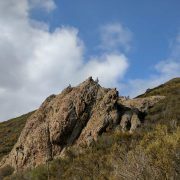 There is no place like home, and crawling back into your own bed surfaces warm fuzzy feelings like none other, but sometimes those post-travel blues hit you right square in the chest. At work or before bed, your mind starts to wander back to the canals of Amsterdam or when you saw Big Ben for the first time in London. You desperately want to hold onto those precious memories. The good news is you will always carry them with you, in your mind, in the form of pictures, and if you are feeling creative, in other outlets. Used creatively, maps can preserve trip memories and make for great artwork. 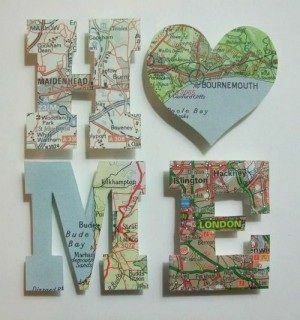 Below are a few ideas to incorporate maps into your household decorations. Showcase all the places you’ve visited in this world. Posters: There are THOUSANDS of maps available: big ones, small ones, black and white, color… I feel my inner Dr. Seuss showing. My point? 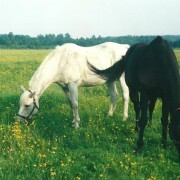 Whatever captures your eye, find one you love. Maybe it’s a massive world map. 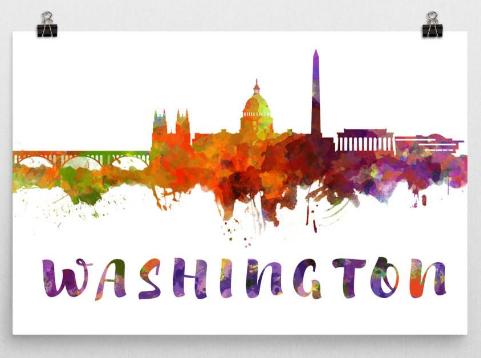 Perhaps it’s a 5×7 of your favorite country or city. Find one featuring your home country? Hang it on your wall – framed or unframed – and you’re done! Looking to spice it up? Use pushpins to represent the cities you’ve visited. If the map is relatively two toned, you can color in the countries where you have travelled. Need a human element? 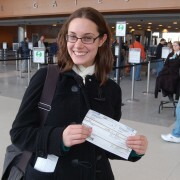 Print out photos from your travels and line them around the border. Alternatively, you can try to tie the photo to where it happened, if the map is big enough. The options are endless! As I recently moved back to the US from Amsterdam, I can reflect fondly back on my time in the city by looking at my poster of the city. It’s hanging in my cubicle at work, serving as a reminder for the beautiful six years I had there. Canvas: Find your favorite skyline and place the photo on canvas. 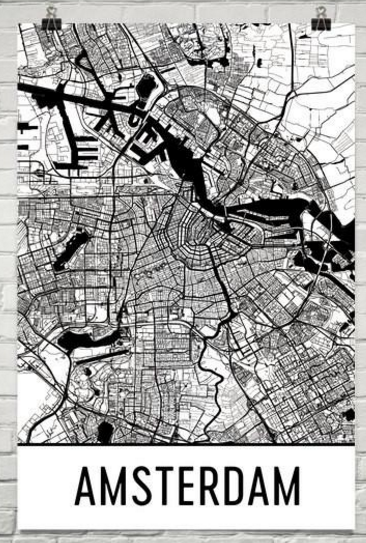 Better yet, find one like Modern Map Art and add a splash of color to your room. 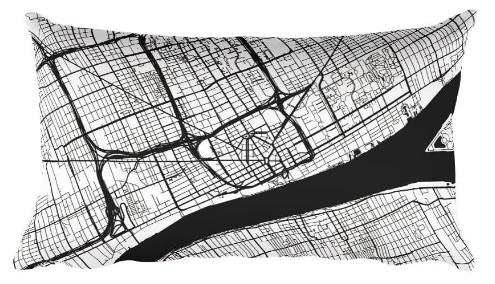 Decorative Pillows: As you fall asleep, your pillow will give you sweet dreams of your favorite city or country. Letters and Ornaments: Paper mache one of your favorite maps on the shape of your choice. For instance, you could make a little heart-shaped Christmas ornament. You could spell out the words “travel” or “home” and on each letter, feature a different map. Hang it in your home, perhaps near the front door, over the couch, or in the kitchen. Which one is your favorite? Have you used any of these in your own home? Share your favorite ways to display travel memories in the comments below! 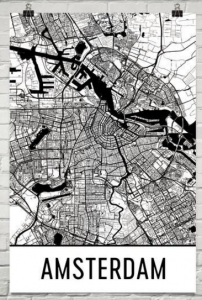 Disclosure: I received a complimentary poster of Amsterdam from Modern Map Art before writing this article. All opinions are my own.